Thank you for your interest and welcome to Pak’Cafan’s recruitment area; the following guide will point you in the right direction for joining our family. We are always looking for mature, like-minded players willing to participate in a team oriented family setting. Please take a few moments to register on our member forums and then carefully read the following, as we take this process very seriously. To be considered for membership and start the application process for any of our games, you must first read AND fully understand our Guild Charter & Code of Conduct. Our Charter and Code of Conduct are listed at the top of the forums under the tab “About Pak’Cafan.” Next, if you haven’t already done so, you will need to create a forum account and fill out an application to the game you wish to apply for. Shard applications are located under the “Join Pak’Cafan” tab at the top of the forums, which is only visible once you register and are signed in. Next, you will need to choose your game, fill out all required information in the application, and then submit your request. Upon submission, the completed application will be automatically posted for that shard’s recruiter to review. This application will act as your acknowledgement that you have read, understand and will abide by our rules should you be extended an invite to our community, regardless of which shard you choose. Once your application has been posted, a recruitment officer will be in touch with you either via PM on the forums or in game within 24 hours for a brief interview and to answer any possible questions you might have. If 48 hours pass and you have still not been contacted then please PM one of the shard’s current Officers. When contacted by a recruitment officer to conduct your initial interview, you will at that time be evaluated by that officer along with other officers in the leadership channels. If Pak leadership feels you could be a good addition to our family; Cub status, a “Welcome Package” via PM (Private Message), and an in-game guild invite will be extended to you. While members of Pak’Cafan can direct you to a recruiter (if online) or to a member of leadership, those people will refer you to the boards to apply as directed above. Once the application intent has been posted on the boards, a recruiter will contact you directly. In-game leadership will NOT process an applicant without said applicant posting to the forums, and the interview is usually left to the recruiter. 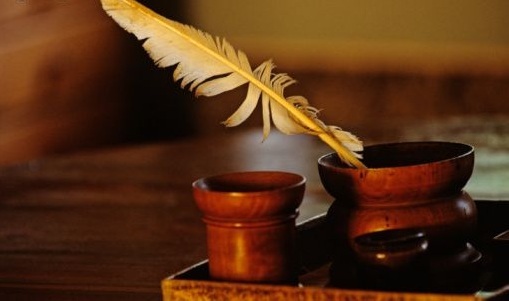 Posting to the forums means you have READ and WILL ABIDE by our rules. Recruitment into Pak’Cafan is not a quick fifteen-second chat. We’re looking for players who fit in well and will be members of the family. This means they should be like-minded in goals and have the same core values in an online game as we do. Only through our recruitment process can we find out that we are compatible. Our full members are allowed to move between shards and join any new shard without re-applying. This is why we take the recruiting policy so seriously – you are joining the guild, not the specific shard, as it were. You are using that specific shard to gain entry, but you become a member of the community at large and can freely move between games and join any shard once your membership has been established. – The Cub period is an opportunity for us to get to know you better, and for you to get to know us better. Please be sure to play the character you’re applying with during this time so that our current members know who they’re talking to and grouping with. Cub status normally lasts 30 days; at the end of the thirty days, your status will be reviewed and voted on by Leadership. All official communications from Pak Leadership and Cubs will take place via PM here on our message board. Upon a passing vote your rank will be promoted to Pak Hunter. – At times people may seek membership with Pak’Cafan that are currently tagged with another guild, and it should be known that Pak’Cafan does not seek out new members that are guilded already – aka “Head Hunting”. Request for membership is always initiated by the applicant via our public boards and it is expected that the applicant will let his/her current guild know of the request to join Pak’Cafan. If the applicant is an existing member of another guild, Pak leadership reserves the right to contact the applicant’s guild leader as a courtesy and inform them of the request for membership by said member. – Specific shards within Pak’Cafan may have additional recruiting rules or restrictions. New recruits will need to contact leadership for the information if they don’t automatically provide it in their “Welcome Package”. It is YOUR responsibility to know and understand these rules when seeking membership to a shard and when you enter that specific shard. – Once you have been invited as a Cub, it is expected that your alts will remain guildless until such time as you are promoted to Pak Hunter (full member) and you have them invited. Any alts found guilded during your Cubship period will cause your Cubship to be suspended until we can confirm their status. If it is discovered that you deliberately did not mention another guilded character while applying or willingly joined another guild during your Cubship, your application will be terminated. Characters in different servers/games do not apply. If it is the same server but opposite faction, a decision will be made on a case by case basis. – If for any reason during your Cubship or even after being promoted to Pak Hunter, you find that Pak’Cafan may not be the guild you are looking for, it is common courtesy to post your intent to leave on the private member forums, and de-guild yourself if applicable. -There is no minimum level requirement to join Pak’Cafan. As a mature family guild; we recruit the player, not the character. That said, lower level characters may have a longer Cubship / recruitment process if you don’t have many guild members to group with often. Active participation in guild chat, member forums, and Teamspeak will help counteract this. Again, please make sure you’re playing the character you applied with so that you can particpate in guild chat and guild events. – Reading the boards and understanding how we work is required. Our message boards are our primary method of communication. When creating a username on our boards please try and use a name similar to your in game name and include your characters in the signature. – There should not be any expectations that Pak’Cafan will power level applicants or members or help them acquire loot/gear. Pak will openly share xp/loot/gear with our family, but we will not be taken advantage of. – Raid and loot policies vary between all shards; some shards include those policies in their “Welcome Package”, other shards may not. New recruits will need to contact leadership for the information if they don’t automatically provide it. Leadership will explain the rules to you or send you a PM with the information so that you get the most current details. It is YOUR responsibility to know and understand these rules and to have any prerequisites met before you’re allowed a position in our raids. – A separate chat channel may be available for potential recruits. This channel would exist as a second Guild Chat for Alts of Cubs and for potential new recruits so that they may be able to speak to Pak’Cafan members without the ability to talk in Pak’Cafan Guild Chat. Warning…Pak’Cafan is a mature guild. There will be times in guild chat that discussions of a more adult nature may take place. If we were to put a movie rating on our guild chat, it would be R. This is not because guild chat is filled with profanity and innuendos at all times, but rather it reflects that we are a guild mostly filled with adults and we don’t want people to have to censor themselves in guild chat or Teamspeak. In addition to the Guild Charter & Code of Conduct, Pak’Cafan members who wish join the EverQuest Shard must abide by the following addendum. Failure to follow the EverQuest Requirements and Code of Conduct Addendum will result in your removal from this Shard. 1. We will not tolerate vulgar or excessive swearing in /gu chat, /ooc, /general chat, or TeamSpeak (EverQuest Channel). In the EverQuest Shard: We are a “mature” casual style family guild. Pak’Cafan continues to maintain its esteemed reputation of the highest class. New members or Current Pak’Cafan members from a different shard will respect our policies in EverQuest or be removed. 2. Players must demonstrate a level of independence in EverQuest before being considered for Full Membership. 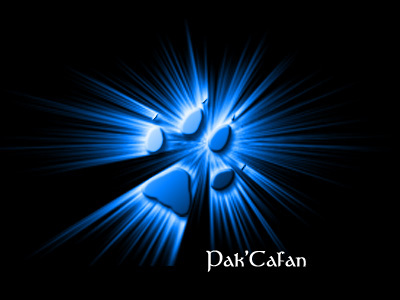 Pak’Cafan is looking for players understand the basics of their class, hold a high standard of morals within the game, and can always be the “bigger person” during disputes. We are also looking for players who can be flexible and independent when it comes to grouping or soloing. Pak’Cafan members are always willing to give advice and strategies in the game when grouping is not available. We also have several tools such as the Pak’Cafan website and TeamSpeak to assist our member and applicants. Bombarding members within the guild with trivial questions, complaining about not finding a group, or stating that your ‘bored’ does not bode well on your application for Pak’Cafan. – New members (Cubs) are required to achieve level 80+ before their 30-day cub status is done to be considered a full member (Pak Hunter). – Pak Hunter ranks and above (Returning members or from a different shard) are allowed to be invited regardless of level. Guild Leadership will do background checks to prove membership. – Cubs should never ask for power leveling. 4. EverQuest Shard Applicants (Cubs) will NOT display their <Pak’Cafan> tags until they have achieved the rank of “Pak Hunter”. This is protect the guild reputation in the event that an applicant breaks policy (i.e. training, swearing in general chat, loot stealing, etc). The guild tags are something you earn through honor, commitment, maturity, and helpfulness others. They are not freely given. – We have a probation period (Cub Status) that lasts for 30 days. This probation period allows us to really get to know if you are right for Pak’Cafan. If during your probation period you violate any of our guild policies you will be held accountable. The consequence of your violation will be decided by the Guild Leader and Officers. What happens depends on the severity of the violation, and can include being removed from the guild. 5. EverQuest Alternate Characters: Alternate characters will be allowed an invite to Pak’Cafan IF the applicant passes his Cub Status and is promoted to “Pak Hunter”. – Multi-Boxers will be allowed 1 character per account tagged for Cub Status. – Having characters in 2 different guilds is in direct violation of the Code of Conduct and will result in your removal from Pak’Cafan. (If you have your own personal guild on an alt for additional bank space, that is allowed). – Applicants and Members with guilds outside Pak’s primary server (Drinal – Maelin Starpyre) will be reviewed by the shard leader on a case by case basis. Once you have read and agree with the Guild Charter, Code of Conduct, and the EverQuest Shard Addendum you are welcome to apply. – Take your time and be sure to complete the “Required” Fields. Remember: We are looking for quality players and great personalities. – Please allow 24-48 hours for a response. Remember: We are a casual gaming guild in the EverQuest shard so please be patient. Step 5. (Review your application Post on the Forums). Thank you again for your interest in Pak’Cafan and we look forward to meeting you!